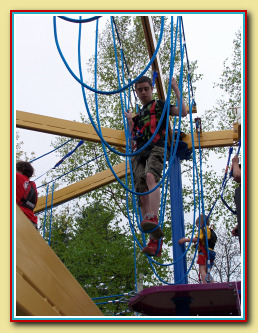 Our Outdoor Adventure High Ropes Course is a climbing structure the whole family can experience together. 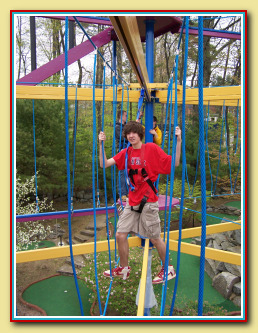 The multi-element course allows people of all ages to enjoy the thrill of doing something a bit out of their comfort zone - safely and at their own pace. 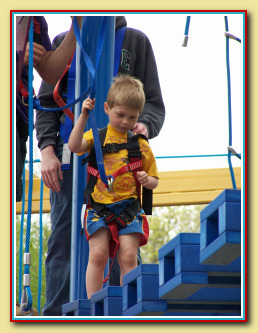 The full-body safety harness securely allows participants to walk the high wire, rail, rope bridge and more! And, then take it to the next level for even more challenging elements! No orientation program necessary and it won't bust your budget! Come check out the Action! 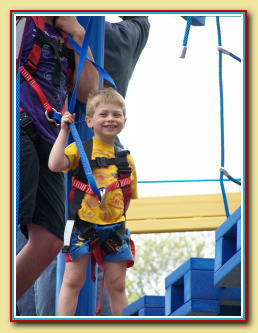 Daytona Fun Park at Weirs Beach in Laconia, NH is your best family vacation activities destination for Fun in the Sun! 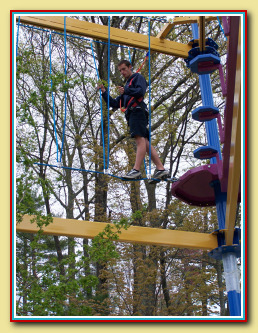 It's a fact: We are the only State of New Hampshire safety inspected and safety certified ropes course.